When I first saw the advertisement for Godrej Expert Rich Creme Hair Color on TV, I could instantly identify with the situation to the one at home. The only difference is unlike Parizad (Mom in TV commercial) who was hesitant about coloring her hair, my mother-in-law who had always used traditional hair color was hesitant about the new creme hair colors in the market. Her biggest concern was the high price tag that comes with these creme hair colors. Well, this is not just her concern but a concern of majority of Indian women. It was only when she suffered from a really bad scalp allergy from the ammonia in a hair color, I managed to convince her about the benefits of using a crème based hair color over chemical-laden traditional hair colors and got Garnier Color Naturals for her. Though, she loved the ease of application and texture of her hair after wash, she kept cribbing about the price as she needed to apply the product every fortnight. So when I saw the ad for Godrej creme hair color and found it to be for 30 bucks, I was completely surprised. Finding no harm in experimentation, I bought the product from a nearby shop. 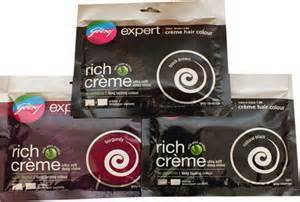 Godrej Expert Rich Creme hair color comes in a highly simple and no fuss packaging. The single use pack comprises of two pre measured sachets: 20ml Developer + 20g creme colorant and the kit comes with a mixing bowl, applicator brush, gloves, stain removing wipe and conditioner. The kit is great for first time users and for those seeking a luxury experience. I personally like the kit. When I read the ingredient list, which said its a no ammonia product with the goodness of aloe protein, I found the whole deal unbelievable. I felt there must be some compromise with quality. After all, what makes Godrej to sell its hair color for so cheap, when other brands are selling their similar products at a high cost. Probably the no fancy packaging explains the affordability of this product. I got the shade Natural Brown 4.00 for my mother-in-law last week. She applied it only yesterday. She found the kit highly easy and convenient to use with clear instructions mentioned on the pack. All you need to do is to just mix the contents of the two pre-measured sachets, the developer and the colorant into the mixing bowl and blend them well. Now apply this mixture on clean hair with the brush and leave for 30 minutes before rinsing with water. Since, she has very long hair that require full length coverage over full head she had to use two packs of this hair color. However, one pack will suffice for people with short hair or for those who only need to do touch ups. Unlike, other hair colors that have strong dye like odors, Godrej creme hair color has a very faint rose scent. As my mom-in-law did the patch test before and did not feel any allergy or unpleasant sensation, her overall experience was fine except for a little hair fall. Her hair looked noticiably soft and shiny after wash, hats off to the presence of aloe in the ingredient list. Though, the coverage did not come out to be so even, it looked natural and decent. The quantity of one pack may not be enough for women with very long hair. Like any other hair color, may cause allergy in some. Patch test is required. 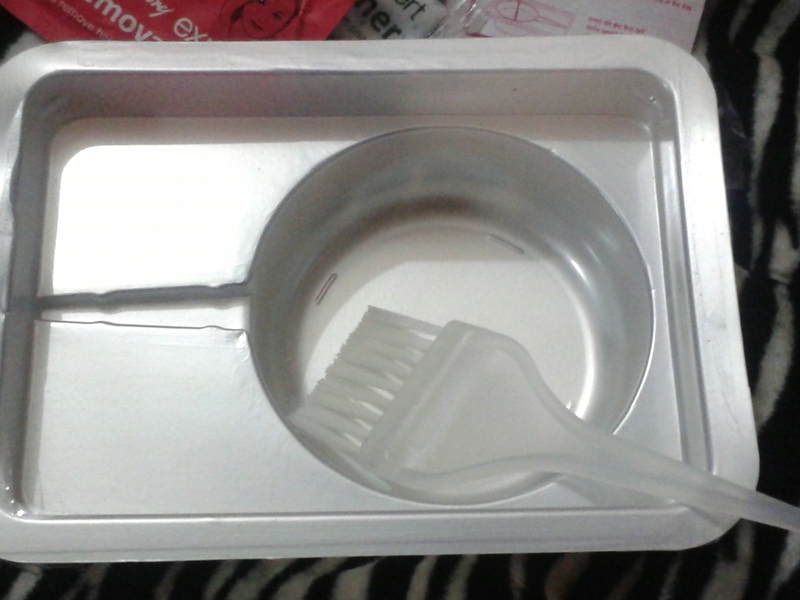 Overall, its a wonderful product from Godrej that can give you decent color at the fraction of the cost. Its a no brainer product and anyone can use it easily at home. Given this hair color is creme based and ammonia free gives Godrej an edge over other brands with similar products that are highly expensive and not so readily available. Now how long will the color last, you will have to wait for two weeks before I come up with final review and verdict on this product. Stay around. Good you found the review useful. Yes it is easily available from any departmental, pharmacy or cosmetic shop/store in India. Hi all , i am going to use Godrej Expert Rich Creme Hair Color for the first time.. but i am not sure about the shade .. i want the shade with exactly matches with Henna color.. will it be dark brown , black brown or burgundy??????????????? please suggest. Depends on the sensitivity of your scalp. If you are already suffering from hair loss try to avoid hair colors and use natural options like henna. It is an ammonia free hair color which protects the hair as it colors. The scalp is protected against the harsh process of hair coloring. Godrej Expert Rich Crème is the only no ammonia hair color that lasts as many as 25-30 days. I am using it for last 8 years and its easy application helps me for the grey touch ups and full hair color. I would suggest use it and believe it. I have dark black hair so whcich shade i should use of godrej expert. hey, i have black hair.. wheatish skin tone.. i want to color my hair dark brown. would that suit me? Dark Brown looks good on wheatish skin tone. You can go for that. hey, i have black hair naturally… wheatish skin tone.. i want to color my hair dark brown. would that suit me? Hi,thanks in advance , I have light brown hair which color will suit for my hair (skin Asian light brown) I wanna use burgundy. Hi Sandeep. As you have light brown hair; godrej natural brown will suit you more. You can go with burgundy if you have fair skin tone. Hey i had colourrd my hair wit dark brown bt my hair gone black eeeeayk wt to do ?? Hi, I have a fair skin tone and brown hair.. I want to try burgundy color, but’m afraid if it becomes too violet or red…!!! Please suggest.. Yes dear burgundy will suit your skin tone. Just make sure you don’t go too overboard with it as it may turn red. 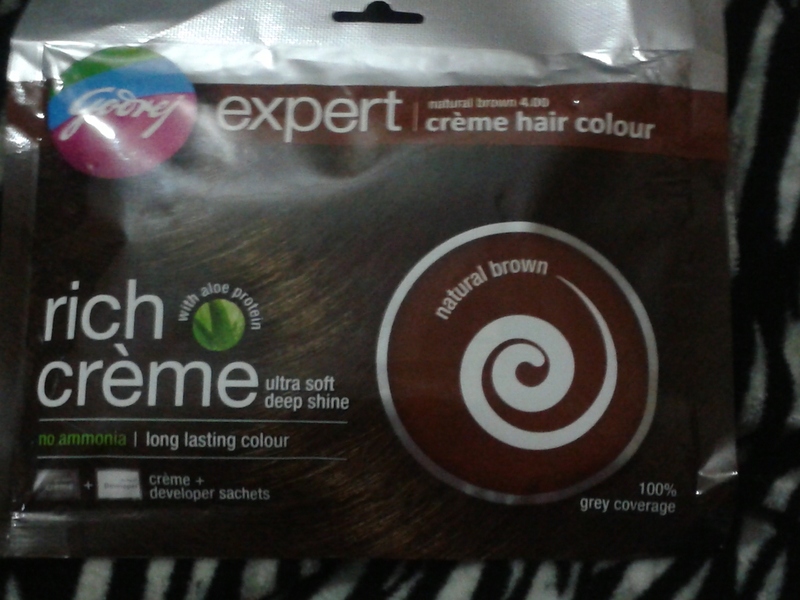 I use rich creme dark brown pack …..
my hair colour black…..its no colour change…. this is too gud..n gvs the prfct shade..bt cn u tell me fr how long will it last? It shall normally last for 15 days. I have applied godrej black hair today. Now i want to apply conditioner. Please suggest me. can i apply egg, lemon, tea decotion(without henna) mixed??? Hi anshulika..I am 19 and i have few grey hairs.i am afraid that colouring may damage my hair and will result in more grey hairs.should i give a try? hello Ijaz. This is just a beauty blog. about beauty tips and product reviews. Hello Salekha. Shades of brown burgundy looks good on fair complexion. Shades may vary a little from picture shown on the packet. You can use sulphate free shampoos and conditioner for washing your hair to have long lasting effect for color. Avoid vinegar and lemon on hair.
. but i want golden shade . so plz make golden shade. Hi . i m from pakistan. i m uising godrej hair color honey brown shade. i like it . but why do not make golden , coper shade ? your color amonia free so i m waiting , when u make golden or coper shade , plz answer me . Hi Nabeela, this is just a blog post about my experience with the product. I am in no way connected with the brand. Please consult Godrej for your query. hi! can i use this to fix up my not so happy highlights? Yes but make sure to use a darker shade to ur existing highlights. Goodluck. Hi, I am going to apply hair color for the first time. I am worried if the hair color comes in contact with the scalp it will leave a black stain. Since the scalp is more of skin color, it will look awkward if there are black stains. My question is that, can I freely apply the color not minding it being applied on the scalp also? Does the color go off the scalp when I rinse? i was apply godrej dark brown colour on my hair .. but its not worked ..
Hello Charvi; its better to use the brush for even application. In case you don’t have one; you can wear plastic glove and apply with your fingers. For the color to stay on your hair; it depends with the kind of shampoo you use and how frequently you wash your hair. On an average color lasts for 15 days. Hello Sona. There are no side affects for this hair color as per my mother-in-law experience. The same is highlighted in the post. But it may vary from individual to individual. So patch test is always advised. hi,I use nupur mehendi in 14 may. can i use rich cream? Hello Smarak. Yes you can use. its honey brown version is most of the times out of stock. Hlo mam i m 18 year old.I have some white hair about 15-20%.can i use this product.i m confused that it may damage my hair or any problems. Please suggests me. You can also use henna or herbal packs for coverage. You missrd the Honey Brown shade. I was usong it for my beard with excellent results that too for beard. But now the said shade is not available , not even online or any store? Hey! I have jet black hair n I wanna get highlights I was thinking light brown shade of godrej, but most people say I have to bleach my hair to color it.My question is will the light brown shade work on my black hair n make it brown? Can I use it to highlight my hair? hey! my hair is long to waist. so, most probably i need 2 sachets of godrej creme hair colour! can i use two different colours of this product? will there be any side effects/any kind of prblms with my hair n colour? Hi Nora, thanks for writing in to us. If have fair skin tone, burgundy highlights would look great on you. Instead of mixing the two colors, who not keep your base dark brown and go for burgundy highlights? Rest, I think your hair stylist would be the best judge, since I’m not an expert on hair color. All the best and have a nice day hun. Hlo mam i m 22 year old.I have some white hair about 20-30%.can i use this product. Hi Jeevan. I feel 22 is too young to color your hair. You should consult a dermatologist or a trichologist for premature grey hair treatment. Best of luck. Hello, I’m 22 and wanna try this product as my first hair colour experiment. I’ve fair skin tone with a bit brownish hair. Can I try this this product ? The burgundy shade probably..? Will it be safe ? Please advise. ? Hi Dipannita. Using hair color at such a young age occasionally is okay but not often. You can use burgundy shade for highlights. Not suggested for such a young age. I m 30 year old male can i use this product.20% hairs grey. Hi Vicky. The product is for hair-fall. For premature grey hair or abnormal hair fall, pls consult your doctor. All the best. I am 34 female and 20 % hair is grey. 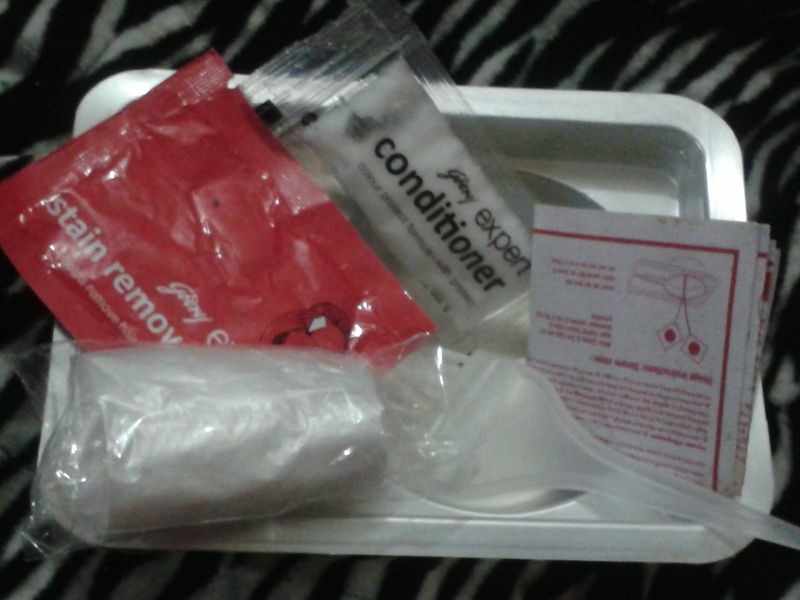 I use the godrej expert creamy hair color which is very convenient in application. It helps me to cover grey hair for around 30-35 days and also does not cause any hair fall. I believe trying this product for your hair will make you feel more confident and help in getting a new look. I tried the shade natural brown.but it came of no use.no change of colour was observed. Really dissappointed. Hi. I have back hair. 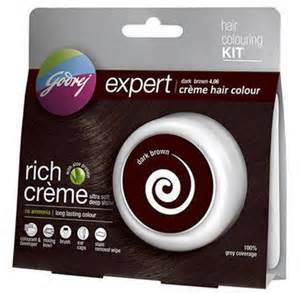 I just bought a pack of burgundy goorej expert rich creme hair colour. I just want to colour the ends of my hair. Will the colour show up on black hair?